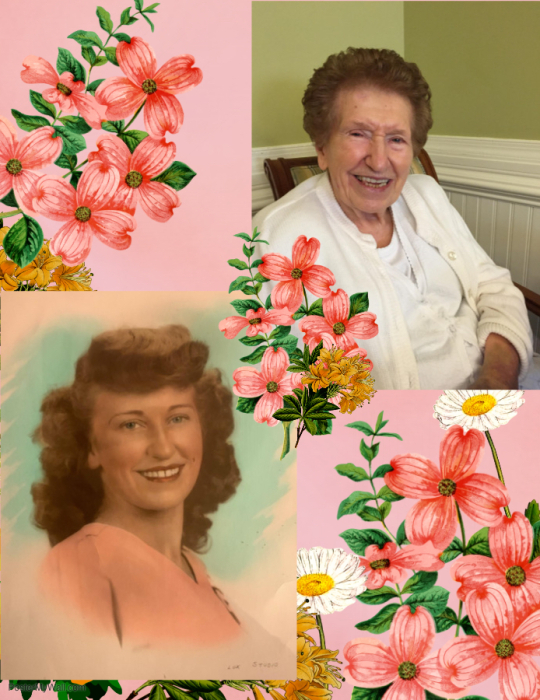 Mary Theresa Scarafone (Hanzir), 93, of Blue Bell, passed away peacefully on Saturday, January 26th at the Artman Home in Ambler, PA. She was born on November 27th, 1925 to August Hanzir and Mary (Hanzir) Verbonitz. Mary was raised by her mother Mary and Matthew Verbonitz after the young death of her father, August. She grew up in Ganister, PA and married the late Frank L. Scarafone in June of 1953. Mary‘s life was spent raising her family in Blue Bell. She was a beloved mother of five children Sharon (John) Sexton, Daniel Scarafone, Francine (Jerry) Lombardo, Lorraine (Bill) Fisher, Regina Scarafone Jopling, fifteen grandchildren which include Jason, Brooke and Ryan Sexton, Frank, Reanna and Kristen Scarafone, Lisa, Christopher and Jordan Lombardo, Michael, Daniel and Nicholas Fisher, Amanda, Brian and Alyssa Jopling and two great grandchildren Joseph and Olivia Scarafone. Mary was predeceased by her loving husband of 55 years, Frank L. Scarafone, her parents, sisters Helen Pagliara, Katie Spitz, and brothers Stevie Hanzir and John Verbonitz. She is survived by her youngest sister, Angie O’Shell. She was employed by Krylon Company in Norristown and Woolworth’s in Plymouth Meeting. Mary was a long time member of St. Helena’s church and volunteered in numerous church events like the Horse show with her delicious baked goods. Mary and Frank enjoyed trips to the casino and nights out dancing with her sister and brother in-laws. Mary loved her large family gatherings. She was a prominent figure in all of her grandchildren’s lives and loved them very much. All services for Mary will be held on Wednesday, Jan. 30th at St. Helena’s Church,. Her viewing will be held from 10 AM until 11 AM followed by a mass. The burial will be at St. Patrick’s Cemetery. The family would appreciate memorial donations that can be made in Mary’s memory to St. Helena’s Church, 1489 Dekalb Pike, Blue Bell, PA.
Funeral arrangements are by Volpe Funeral Home.